Choosing a good SEO company is one of the hardest thing to decide as business owners. In this deep dive article, we will share our some of our insights that we learnt during these few years of doing SEO works for our clients. At the end of this 20 minutes read, you will be able to learn how to tell if the company you are talking to truly understand what is SEO and what you should really do to effectively improve the SEO results of your website. Grab a cup of coffee, open your mind, space out your thoughts and read on. It is important to internalize that good SEO is all about implementing actions that aligns with Google’s mission to be the best search engine in the world. Quoted from Google itself, their mission is to organize the world’s information and make it universally accessible and useful. At the most fundamental level, a website that helps Google in maintaining their lead as the best search engine in the world, will naturally be strong in their search rankings. It is important to know this before you even start thinking about hiring a SEO company. There are many SEO companies out there who do not optimize websites nor create content for their clients. They simply focus on back-linking but backlink is only a part of whole ranking algorithm. According to authoritative references like Backlinko, there are more than 200 factors that affect ranking results. And these factors do not stay constant as Google is constantly tweaking the search algorithms. In fact, they are doing small changes almost every day. So that they can continue to be the best search engine in the world, delivering relevant search results that continuously add value to search engine users. The search engine game, is to convince Google that your website is the best resource to address the information seeking needs of the current search engine user in tersms of relevancy and user experience. Therefore, the best SEO company that you should work with is the one that will help you co-create your website to deliver that. SEO is one of the most complex subject to understand in this world as there is no absolute way of verifying if the knowledge is current or accurate. A good SEO consultant will need to be able to think clearly and derive an overarching systematic thought-flow on how SEO works. He or she need to have the intellectual humility to learn from mistakes, others and improve. The only way a SEO consultant can deliver results is when he understands the system on a high level. Without a clear understanding of the inner workings of SEO, any effort to improve it would be akin to throwing darts with a blindfold on. Any kind of success would just be due to sheer luck. This is why a SEO practitioner who knows what he or she is doing would have a firm grasp of this skill. What separates the good coders from the bad ones is the structuring of the code. Particularly for the purpose of SEO, unorganised code can result in a slow loading website that incur penalties on the user experience assessment of the website. Poor coding can also make things difficult for bots to understand the structure of the website information. If your website is not easily understandable, you will not be enjoy good search rankings. Sometimes, content may not be the only reason for users to dwell longer on a website. If the website has interesting functionalities that can help them with their needs, the users will stay longer and metrics of the website will improve. This is why a brilliant SEO company ought to be able to understand and write clean code. There has been a paradigm shift towards content in recent times. Content is king, the experts said. And it is true. Having good content is one of the ways that help to differentiate quality sites from spam sites. Good writing would draw in an audience, and with an active audience, there can be more leads acquired. Good writing can also promote higher conversion by convincing the users to take actions. A first-rate SEO firm would have a competent writing team in place to deliver quality content in this aspect. A well designed website converts easily and a picture can tell a thousand words. More and more people are preferring to consume content through videos. If writing is important, so is the ability to create good appealing visual assets that are effective in converting. These factors are important in the presentation of a website. Humans are visual creatures, and good photography can go a long way in giving that professional look that instills trust in the web visitors. An exceptional SEO business would be able to create designs, snap excellent imagery and videos to decorate the site with. A good SEO company should be a team that will invest time to understand your business. They will need to understand your business so that they will be able to externalize valuable insights into useful information that can be published onto the website. To be able to attract inbound leads, an outstanding SEO firm needs to have a solid grasp on the psychology of human emotions. By understanding their thought flow as well as their needs and wants, a first-rate SEO firm would be able to derive the crucial key needed for delivering a wildly successful digital marketing campaign. The most powerful play one could make here is to understand the different stratas of the demographics. Each generation and both genders have characteristics distinct to them. For instance, a strategy tailored to Baby Boomers wouldn’t work well on Generation Y. In this particular case, this is because these two demographics have opposing traits. Baby Boomers will tend to purchase goods from retailers that they are already familiar with, whereas Generation Y would shop from speciality stores more than giant retailers. A prime SEO company would be able to strategies two disparate modes of action for these two completely different groups of people. Furthermore, they would also be able to add individual value to the process that each unique group would be able to appreciate. This refers to the decision making processes that people make while on the go about their daily lives. They usually last a brief moment. However, they tend to be intent-rich. These fleeting moments are one of the best ways to convince the consumer to purchase a product, especially if it directly targets his pain point. Micro-moments are basically the byproduct of the evolution of consumer psychology in a digital landscape (with regard to the rise of smartphones, in particular). It has been an interesting area of discovery such that Google has dedicated a website specifically to it in recent times. A superb SEO business would capitalise on these micro-moments and be successful at identifying when they will occur. This is where knowing the traits of the demographic along with micro-moments can come into play here. The intersection between these two things forms the gateway to a gold mine. Just think of micro-moments as a situation where the potential customer encounters a problem, and are looking for ways to resolve it. The kind of problem encountered would differ according to which part of the demographic he or she belongs to. The challenge here is to convince the potential customers experiencing micro-moments that your product or service is the one that could alleviate this pain point. The tactics being used would differ depending on the unique problem being encountered and the general temperament of the person. A splendid SEO establishment would be able to concoct a special healing blend of ointment to soothe the pain points of the potential customer and turn them into an actual customer, using micro-moments and the type of demographic they are as a guide. Although SEO is increasingly looking like a technical role, it is still at its very core an offshoot of marketing. It is essentially the marketing of the new age, having taken up a new form. So, the main point here is that the basics of marketing will still apply here, and a superb SEO provider will be able to deliver on this. One key area of marketing is to able to explain the value of your product or service to the customer in a short and concise manner. Customers are not expected to spend time trying to understand the service or product, as modern attention spans are a lot shorter than in the past in this increasingly digital age. A spectacular SEO organisation would be able to bring across the value proposition of their client’s product or service and brand name in an easy to understand manner. Once the customer is able to see the value of the product or service clearly, he or she is more inclined to purchase it. At Thinking Notes, we work together to resolve every little issue. This is something that is immediately observable upon your first interactions with the SEO personnel. Do they seek to understand everything about your existing website down to the tiniest, finest detail? For instance, they want to know the reason why the current font was used. Was it because of readability? Was it because your organisational head likes the font? Or was it because it came preset with the theme you bought off another website? These are information an excellent SEO firm will try to dig out from you and understand, as they believe in the power of being informed. They will disassemble the information, and reassemble it back in different permutations and combinations as they understand that details form the backbone of a product and service. This skill is finely honed by the rigour and demands of SEO work. Tweaking everything so that it would be optimised for the search giant Google is what a splendid SEO company would do, and they do it well. So next time when you’re hiring a SEO practitioner to optimise your website, you know what to look out for. An overwhelming desire to dismantle every single piece of information and make sense of it. A remarkable SEO company would painstakingly maintain laser-precision focus on ranking factors to ensure that they keep up to Google’s (and other search engine’s) standards. Just a small lapse in scoring well at one of the factor can result in a downward spiral of your site’s ranking! If your SEO consultants are constantly trying to educate you about how certain seemingly useless things are important for the growth of your site’s ranking, they are a keeper. They strive to custom tailor solutions for your business goals. For Intercorp Solutions, we have specially created an interview article at a local online business publication. Different kinds of businesses have different kinds of objectives and goals, and yours is no different. For one, you could be growing your website into an authority site, where your words hold a certain amount of weight in your visitors’ hearts. For another, you may be just looking to build a professional advertising/portfolio site to place into that vacant URL blank of your name card. The strategies that work for the former may not work for the latter. There is no one-size-fits-all solution pertaining to SEO. If we were to use the example of growing your own authority site, publishing regular quality content would be at the forefront of the suggested solutions. This would not apply well to the scenario in which you wish to have a portfolio site just to show the existence of your web presence. For this, backlinking from high-quality websites would be the main goal. Furthermore, if you are not concerned with the rankings for your site, you might not even require SEO help. Do you now see the difference between these two approaches? An average SEO firm would just apply a cookie-cutter approach to all of their clients’ websites. However, an accomplished SEO firm would go above and beyond that, to execute the best available deliverable for your website. Sometimes, sacrifices do need to be made, as we have covered under the dilemmas of web design. So many guaranteed SEO agencies out there in the market, but there can only be a few winners in SEO. As SEO takes minimally months to reflect results (be it positive or negative), it is extremely easy for business owners who do not possess their own in-house SEO specialist to engage third-parties who pose as digital marketing professionals. These “professionals” can and will paint you a vibrant picture of your website ranking in the first page of Google within weeks. Some will even guarantee it. However, is it really that easy? For starters, it takes >3 months of substantial and consistent effort to rank a brand new domain onto the first 5 pages of Google. Even so, it is often not the case. Do not get duped by these smooth-talkers. It is time to put away your rose-tinted glasses and see the truth for what it is. SEO is definitely not a relaxing walk in the park. Unless it is Jurassic Park. A guarantee is a promise – a basic contract that necessarily creates an assumption of certainty by the deliverer to the recipient. Anytime you cheat on that logic and make a promise outside your sphere of direct control, you’re walking on shaky ethical and business ground. What happens if the SEO does not work, I will lose all my money! If they guarantee results, at least I will not lose anything. However, from a logical perspective, it is not sound for someone to promise SEO results because there are too many uncontrollable variables (algorithm changes, competitions, etc..) that affect the ultimate search results. There cannot be absolute certainty in knowing how and when will the rankings change. When a SEO company offers you a guarantee, it is not certainty that they are offering you. Maybe they have a lot of success in their previous SEO works and they are very confident of delivering, but still it cannot be a certainly. What they are really doing is taking a gamble that the SEO results will improve within the promised time frame with their methodologies. If the gamble pays off, they will be paid the due rewards from the clients. Video from Google’s official statement on hiring an SEO company in which they state, “Beware of SEOs that claim to guarantee rankings”. Sounds fair. In fact, it sounds so good to business owners as they basically have no risks at all ! But aren’t we all taught that “there is no free lunch in this world”? If it is really so good, I would have incorporated companies in all popular industry niches and find all these SEO companies that guarantee results and get them to rank for me. I will then just sit back and wait for customers to come to me, at virtually no risk to me. Or maybe I can incorporate 2 companies in the same niche and appoint 2 seperate SEO agencies that guarantee top SEO results. Surely, one of them will fail. The purpose of this section is not to portray that companies that guarantee SEO services are scammers or have bad SEO skills; perhaps some of them do have good SEO strategies that work really well to rank their clients’ websites. It is just addressing the point that it is not logical for them to create an impression that top rankings are a certainly. At most, they can only say that “they are confident of their strategies” and the results “are likely to improve”. Guaranteed SEO is really just a marketing tactic to open doors for these SEO companies to gain more new customers. If out of 10 clients that they promised “guaranteed SEO” to, 2 of them succeed, they will win 2 very happy clients; the other 8 will just have to move on to find other SEO firms. If you really prefer to engage an SEO company that offer result guarantees, I will recommend you to first find out what are their strategies, how long will the rankings hold, what are the payment clauses and all the fine details in the agreement before you make any decision. Or maybe talk to more companies that offer guaranteed SEO and gauge your confidence level in them. Don’t be too blinded by the guarantee offer. It is too good to be true. 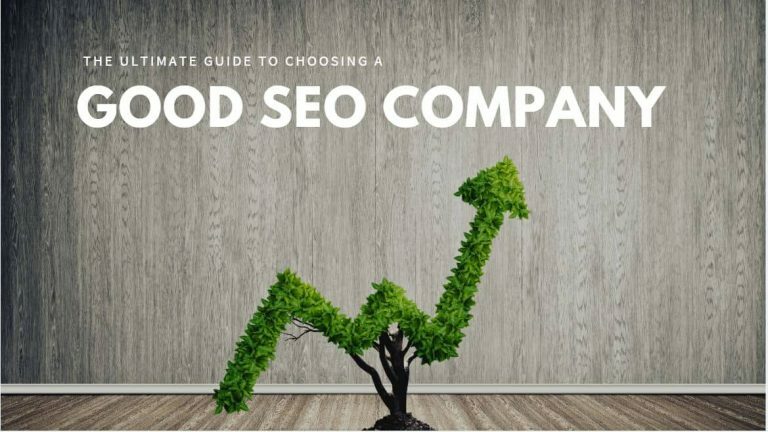 Now that you understand more about the various abilities an outstanding SEO team will need to possess, you will understand why good SEO companies typically charge a premium for their SEO services. If you would like to try a DIY approach and learn more about SEO, consider our upcoming SEO course. Previous Post: How We Become a SEO Company?